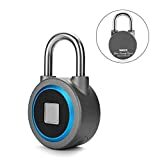 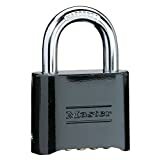 Tired of forgetting the combination or fumbling around with a temperamental padlock on your gym locker, school locker, bike lock, or whatever? 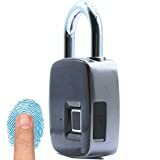 Then upgrade to this cool new Biometric Fingerprint Padlock. 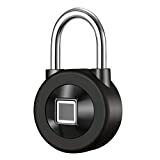 This futuristic padlock foregoes the traditional combination number dial and replaces it with a biometric fingerprint sensor that can unlock it instantly in just one second with a simple press of a finger. 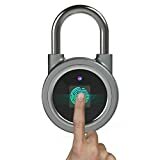 It not only stores your fingerprint, it also stores up to 15 more if you wish to share access with others and includes a smartphone app that can be used to unlock it as well. 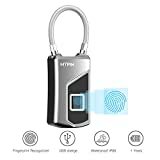 It's crafted from aluminum alloy with a lock beam made from stainless steel for superior cut resistance, can be used indoors or outdoors, and can be quickly and easily recharged via USB.